At Willrich Precision Instrument, we carry a comprehensive range of air gages and bore gages that can help you take measurements, conduct tests, and perform comparative analysis studies effectively. Both air gages and bore gages are precise types of instruments to measure internal dimensions such as a bore or inside diameter. Different types of air gages utilize the changes in air pressure to measure dimensions, while bore gages are more of a mechanical type measurement tool. With nearly five decades of experience working with leading brands in the gaging, inspection and metrology industry, Willrich Precision knows exactly what our customers need when it comes to the quality of measurement and metrology equipment. Our team has excellent product knowledge and can assist you with your purchases with an unparalleled level of customer service. 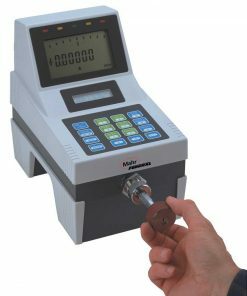 Whether you are looking for air plug gages, touch screen air amplifiers, pistol grip bore gages, inside micrometer or dial bore gages, you can be sure that we have the right solution for you. Browse through our exciting inventory and shop for quality air gages and bore gages now. If you need assistance with any product purchase, call us at 866-945-5742 or email us at sales@willrich.com today.